Lock in a great price for ibis Lausanne Centre – rated 8.3 by recent guests! Friendly staff, cosy hotel and the facilities make your stay very practical, with a bar, restaurant, mini shop and public transport ticket provided. Close to the shop area and bus station. Breakfast was also a highlight. Parking in a safe garage. Location is good. Free public transportation pass during our stay. Great value for money. Very helpful receptionist, explained where we can park, main attractions to see and recommended a nice Swiss retaurant. Solvent smell from aircondition sistem.Very hot in the room and imposible to adjust the temperature. The staff is very helpful and the parking space is convenient. Room don't have air condition but staff gave big fan for us , it's good. Modern check-in, super location (close to bis & metro station), everything necessary is available. If you have no breakfast included, head to le Pointu! The location. The quietness of the place inside. Friendly staff and always ready to help if needed. There was in fact no coffee maker but I did ask for a water heater and some coffee and they gave it to me. Internet worked throughout the whole stay and we were given 2 cards for the public transportation. Rooms are spacious. We were upgraded to a larger one. I really recommend this hotel. Book your stay during the wknd because it's 60 CHF cheaper than on weekdays . ibis Lausanne Centre This rating is a reflection of how the property compares to the industry standard when it comes to price, facilities and services available. It's based on a self-evaluation by the property. Use this rating to help choose your stay! Located right in the center of Lausanne, this modern, completely non-smoking hotel is only a 10-minute walk from the train station. The Ibis Lausanne Centre offers air-conditioned and soundproof rooms and a bar serving snacks and drinks around the clock. 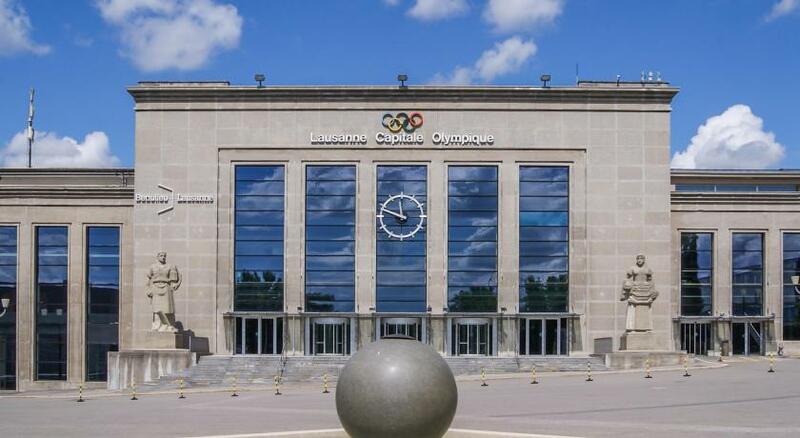 The historic quarter, Lake Geneva and the Olympic Museum are 2 miles from the Ibis Lausanne Centre. Guests enjoy free use of public transportation. When would you like to stay at ibis Lausanne Centre? Air-conditioned room with satellite TV and a bathroom. Public parking is available on site (reservation is not possible) and costs CHF 17 per day. House Rules ibis Lausanne Centre takes special requests – add in the next step! ibis Lausanne Centre accepts these cards and reserves the right to temporarily hold an amount prior to arrival. Please note that cars taller than 5'11" cannot access the parking garage. Please note that parking is limited and subject to availability on the day of arrival. Only 1 rubbish bin provided which was in bathroom. Kettle had to be asked. Room was hot. No aircon if not in summer with no windows can be opened. Elevator need a bit of attention. Staff was very helpful and diligent. Room was spacious. Lack of shampoo , towels not daily changed. The helpful staff, the location .. The bed was comfy, bathroom was clean and comfortable. Location is perfect. Parking. Make sure you bring an adapter as you have to buy one from reception which isn’t great. Asked for an ironing board and was asked to collect from reception which also wasn’t great. It's a very basic hotel. The staff weren't necessarily very warm and welcoming. The area is OK. Quite central and not too far to be able to get to the lake with public transport. The room was too hot. Air wasn't working. View wasn't great and windows didn't open. The location was perfect for what we needed and the price was fair especially bearing in mind it's Switzerland. I particularly liked the free transport card that they gave us. Nice touch. The hotel is really great. Complicated wifi access procedure. My son does not have telecom access in Switzerland and so could not receive confirmation code sms. In the end, he used mine.